Real Madrid have confirmed the signing of Man City star Brahim Diaz on a six-year deal. City bosses insisted on a 40 per cent sell-on fee should midfielder Diaz, 19, later be sold to Manchester United. Diaz, who has made only 15 appearances for Pep Guardiola’s side, is believed to have cost Real around £15.5m but with significant add-ons. When all taken into account the move could cost Real as much as £21m. A statement on Real Madrid’s official website read: “Real Madrid CF and Manchester City have agreed to the transfer of the player Brahim Diaz, who remains linked to the club for the remainder of the season and the next six, until June 30, 2025. Diaz was left out of Man City’s squad to face Rotherham in the third round of the FA Cup, which City won 7-0. Prior to that, the Spaniard had started all of City’s EFL Cup games this season, scoring both in the fourth-round win over Fulham. Diaz’s contract at the Etihad was due to expire at the end of the season. Guardiola had insisted that club bosses had done “absolutely everything” to convince the teenager to stay. With Raheem Sterling, Leroy Sane and Riyad Mahrez all ahead of him in the pecking order, Diaz could not see many chances ahead for him. His close pal Phil Foden agreed a long-term contract with City last month but he is being earmarked as a long-term successor to David Silva. However with Sterling, 24, and Sane just 22, Brahim feared it could be a long wait for him if he stayed at the Etihad. 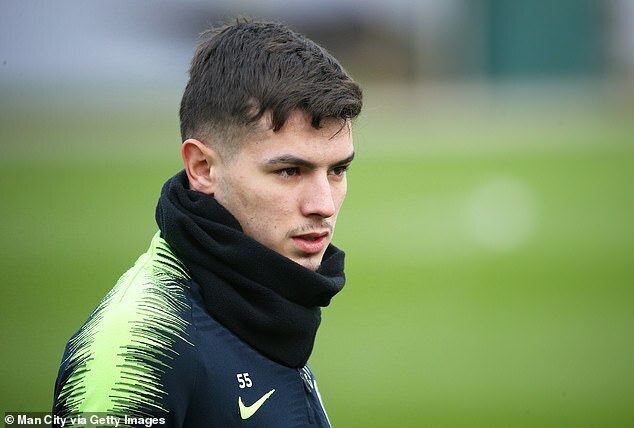 Brahim becomes the latest product of City’s academy to leave for big money – following the likes of Kelechi Iheanacho (£25 m), Enes Unal (£12 m) and Angus Gunn (£13.5m).